For the fourth year in a row, New Zealand has been named as the globe’s leading apple industry against 33 other major apple growing countries. The World Apple Review made the call this week, stating that the innovations emerging from New Zealand’s apple industry will increasingly impact production and marketing throughout the world. “To earn and then retain this world leading title year on year is an outstanding achievement, and rewards everyone who is part of New Zealand’s exciting and dynamic apple industry,” said New Zealand Apples & Pears chief executive Alan Pollard. 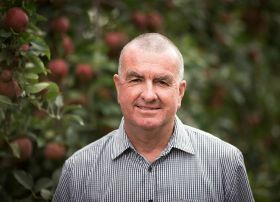 New Zealand’s NZ$850m apple industry is celebrating one of its best seasons this year, according to Pollard. The review highlighted that New Zealand’s industry had long relied heavily on innovation to provide it with a competitive edge given its relatively small size, export orientation and distance from major markets. The country has popularised varieties like Gala and Fuji, pioneered the first true club variety Jazz, and developed and produced a stream of new varieties including Pacific Rose, Envy, Smitten and Koru. The most significant measure of innovation in a country’s orchards is the percentage of new varieties in production. 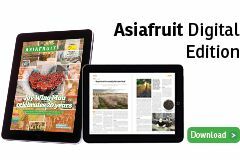 The report highlighted that New Zealand still actively searches for newer apple varieties to remain ahead of the field.